Hey folks, Valkor here. Last month I got the chance to hang with the folks from Rising Star Games, while they were visiting the NYC area, showing off a few of their soon-to-be released titles. 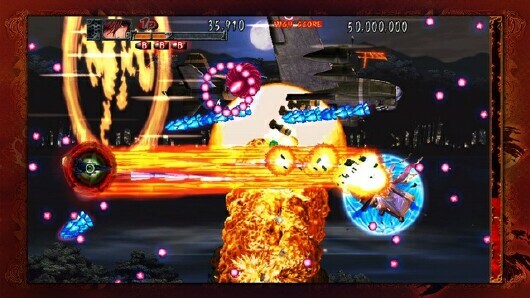 Well one of those titles have made its way into the Val-cave and it harkens back to my childhood days at the arcade – I'm talking about bullet hell shooter "Akai Katana" for the Xbox 360. 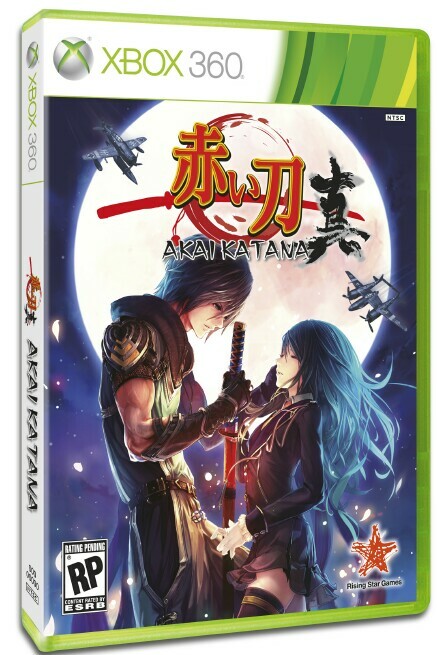 The story of Akai Katana is set in a parallel world resembling Japan's Taisho period, where the people have discovered the powerful Blood Swords. 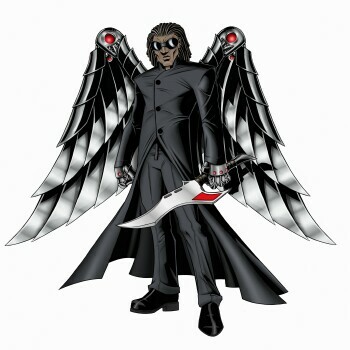 Requiring human sacrifices to unleash their immense destructive power, these swords have been used by the empire to crush neighboring countries. However, all the bloodshed and power gained through sacrificing close family members has made some of the swordsmen think twice. With new fighter planes and the powered up swords at their disposal, this small band of rebels now fight back against the tyrannical empire. Origin Mode – this is the original Akai Katana from the arcade and it's even in its original 4:3 aspect ratio. This mode is great for newcomers to the fold or those just looking for some classic bang-bang. Slash Mode – This takes the original, adds an extra level exclusive to the 360, and beefs up the aspect ratio to a full 16:9, hi-def glory. It also tweaks some of the gameplay, adding new elements in how you use your summons. More on that in a bit. Climax Mode – This mode mixes Origin and Slash and cranks up the insanity, offering up even more challenges and a plethora of bullets you'll need to dodge. You'll get to choose between three characters, each with their own storyline and ship at their command, which has particular strengths and weaknesses. Each character has an assist type orb that's tethered to your ship; this green orb doesn't merely assist you in battle and it's also where your summons' resides. Once you've collected enough green energy (from blasting ships), you can transform into your summons, however it won't stay on screen for long. The good news is that so long as you have enough green energy, you can swap between your ship and summon at will. 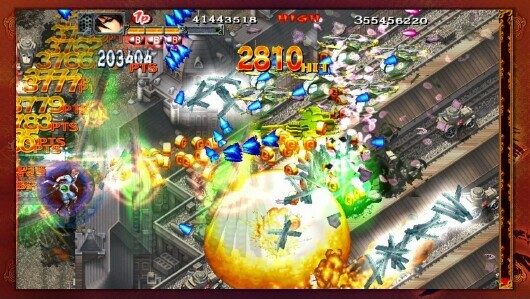 Also you're summon can deflect bullets, which really comes in handy when it's raining bullets. You're ship can also receive weapon upgrades and you have a limited number of bombs at your disposal, which comes in handy to clear the screen of not only the nearby enemies but the bullets that come flying your way. 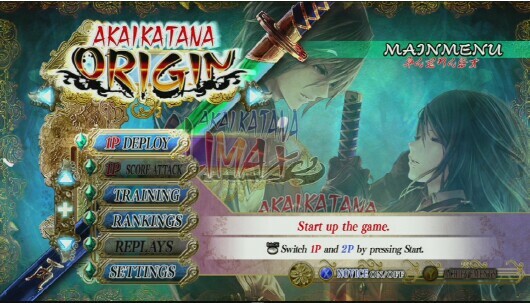 The idea of Akai Katana isn't to simply play through it – that would be a short ride no matter what mode you play because you have an unlimited amount of continues. 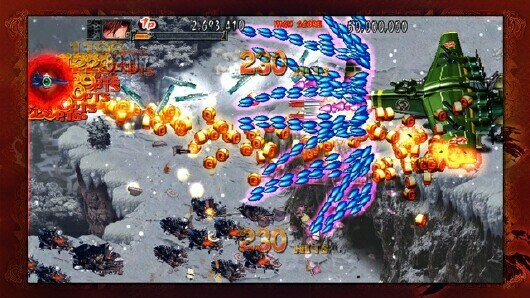 Really you're supposed to master the art of dodging those pesky bullets, knowing when to use your summons and bombs to get through the game without taking too much damage or using any continues, and finally to achieve the highest score possible. Can it be done? Absolutely! But only those with great patience and skills will master it, because you will die a lot and you will die quite often. It's been awhile since I've played a good arcade side-scrolling shooter, so it's a refreshing experience playing Akai Katana. And after several hours of play, I'm ready to give my verdict in the TOV Breakdown. 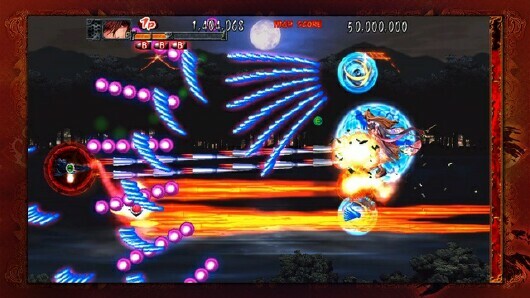 Akai Katana is a bullet hell shooter you'll want to experience again and again. Once you realize the patterns that the bullets are spraying towards you, you'll be able to dodge them with ease; replicate it and you'll be rewarded with a great feeling of accomplishment – and it feels awesome! The hand drawn graphics are beautiful to look at, especially when the screen isn't full of clutter. 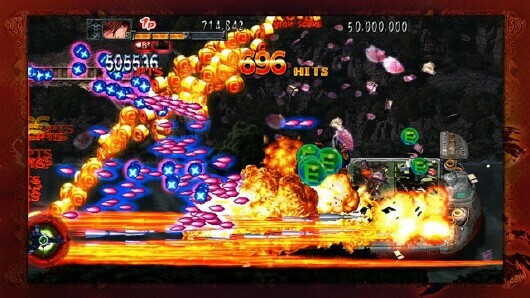 And even when teh screen is loaded up, it's just a beautiful, chaotic mess! The animation is quite fluid, especially on the boss characters. Controls are spot on as you'll have your ship bobbing and weaving through the massive onslaught of bullets and racking up big numbers. Bonus points for having a tutorial – it's hidden, but if you simply press "B", you'll be on your way. However I'll say skip the tutorials all together and dive right in. Yes you'll die a lot in the beginning, but stay with this one, it's just too damn good! Double bonus: When the screen gets too cluttered, you'll experience some lag. Why is this in "The Good" section? That small amount of lag actually gives you some breathing room when things get too frantic; trust me it's much welcomed! Right off the bat, I'm not a fan of the $40 price tag. I think it's too much for too little of a game. Sure you get different challenges, added levels, different modes of play, the ability to record your game, and a nice tutorial, but if I'm paying 40 bucks I want a lot more! The story mode is just meh and you'll follow along in anime stills rather than full-on animation. The feeling in my hands after long hours of play – ouch! 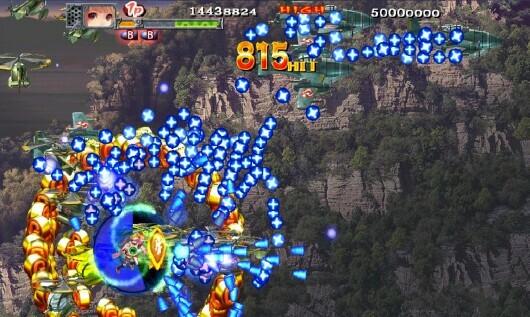 Akai Katana is an awesome shooter; if you put the time and effort into learning how to balance your resources and summons, plus mastering how to follow the patterns of the wave of bullets you'll face, then you'll see why this game is truly a masterpiece and one of the best games of 2012. So, out of TOV 5 stars, I'm giving Akai Katana a solid 4. And now that my hand has rested, I'm ready for me! The Good: What a rush! The Ugly: My shooting hand!! !